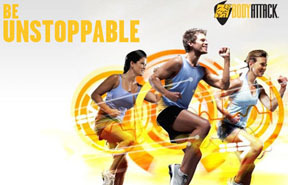 BODYATTACK™ is the sports-inspired cardio workout for building strength and stamina. This high-energy interval training class combines athletic aerobic movements with strength and stabilization exercises. Dynamic instructors and powerful music motivate everyone towards their fitness goals – from the weekend athlete to the hard-core competitor! Learn more about BODYATTACK! 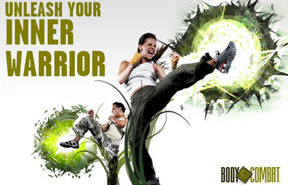 BODYCOMBAT™ is the empowering cardio workout where you are totally unleashed. This fiercely energetic program is inspired by martial arts and draws from a wide array of disciplines such as Karate, boxing, Taekwondo, Tai Chi and Muay Thai. Supported by driving music and powerful role model instructors strike, punch, kick and kata your way through calories to superior cardio fitness. 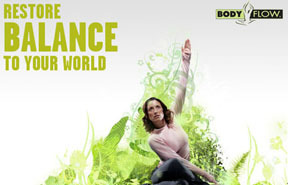 Learn more about BODYCOMBAT here! BODYFLOW™ is the Yoga, Tai Chi, Pilates workout that builds flexibility and strength and leaves you feeling centered and calm. Controlled breathing, concentration and a carefully structured series of stretches, moves and poses to music create a holistic workout that brings the body into a state of harmony and balance. Learn more about BODYFLOW! 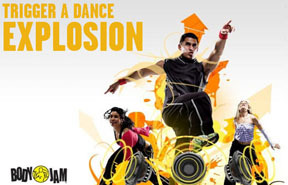 BODYJAM™ is the cardio workout where you are free to enjoy the sensation of dance. An addictive fusion of the latest dance moves and hottest new sounds puts the emphasis as much on having fun as breaking a sweat. Funky instructors teach you to move with attitude through this 55-minute class. So grab a friend, get front and center and get high on the feeling of dance. Learn more about BODYJAM now! BODYPUMP™ is the original barbell class that strengthens your entire body. This 60-minute workout challenges all your major muscle groups by using the best weight-room exercises like squats, presses, lifts and curls. Great music, awesome instructors and your choice of weight inspire you to get the results you came for – and fast! 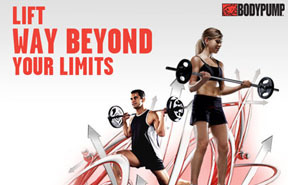 Learn more about BODYPUMP! 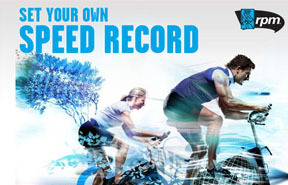 RPM™ is the indoor cycling workout where you ride to the rhythm of powerful music. Take on the terrain with your inspiring team coach who leads the pack through hills, flats, mountain peaks, time trials, and interval training. Discover your athlete within – sweat and burn to reach your endorphin high! Learn more about RPM classes! 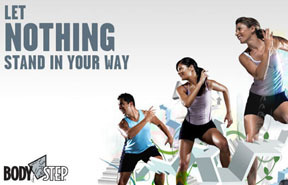 BODYSTEP™ is the energizing step workout that makes you feel liberated and alive. Using a height-adjustable step and simple movements on, over and around the step you get huge motivation from sing-a-long music and approachable instructors. Cardio blocks push fat burning systems into high gear followed by muscle conditioning tracks that shape and tone your body. Learn more about BODYSTEP classes! BODYVIVE™ is the low-impact group fitness workout that lets you choose just how hard you work. Using the VIVE™ balls, VIVE™ tubes and optional hand weights you’re talked step-by-step through the entire class by a skilled instructor, while listening to uplifting and inspiring music. Best of all, you finish feeling thoroughly rejuvenated – and fizzing with energy. Learn more about BODYVIVE! Regarded as the Ultimate Dance Party, a Zumba workout mixes body-sculpting moves with easy-to-follow dance steps derived primarily from Latin music. The party features aerobic interval training with a combination of fast and slow rhythms to tone and sculpt the body. The workout targets areas such as the glutes, legs, arms abdominals and the heart! 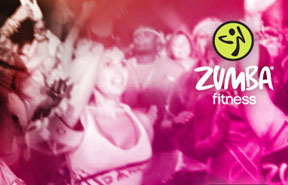 Think Zumba sounds like you type of workout? Learn more here!